In the ongoing Roan and Bahati Constituency bye election campaigns, Edgar Lungu and the entire PF leadership are lamenting about the lack of development in these areas because of Harry Kalaba (Former PF MP for Bahati Constituency) and Chishimba Kambwili (Former PF MP for Roan Constituency). On the other hand, in the recent bye elections held by opposition MPs such as Mangango and Sesheke, the PF campaigns were that these areas lacked development because they were under opposition MPs who had no access to Mr. Edgar Lungu who has kasaka kandalama. Clearly this is hypocrisy of the highest order and self confession of failure to develop the whole Zambia by Mr. Lungu who has been claiming that there is massive development throughout the country. How can it be that, even when area MPs are from the PF, Edgar Lungu still confesses lack of development in those constituencies, the same song he sings regarding opposition Constituencies? As a matter of fact, the entire country is lacking in development because of unprecedented corruption and debt mountain created by the PF. The only places that are developing are the PF leaders individual pockets that have been looting public resources to finance their lavish lifestyles such as procuring customised private jets. Mr. Lungu and the PF have now been caught in a web of contrasting lies that have clearly proven that there is no development going in Constituencies of both the opposition and those held by their own PF Members of Parliament, and therefore no guarantee of development. The voters in these areas should therefore not be hoodwinked by PF fake stories that the areas can only develop when they vote for the party in power. The Bahati and Roan seats have laid the PF deception bare and no amount of songs will change what has been proven that regardless of party affiliations, the whole country is not being developed. As a matter of fact, PF will pay more attention to those areas where the people voted for the opposition because they (PF) will want to pump in money for the sole purpose of reclaiming back the seat and not out of the sense of civic responsibility. The way they are pouring in money buying voters is the same way they are likely going to continue doing so that they win back the seats at all costs to make an impression of popularity. The voters are therefore being urged to vote for the opposition candidates in their areas so that PF can sit up and develop these constituencies. 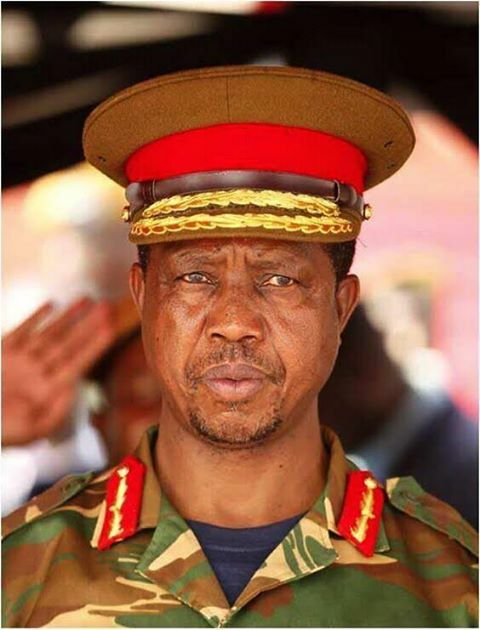 clueless leadership, tule mimona, the clock is ticking quickly towards 2021. by my calculation we are only having about 593 (five hundred and ninety three days) to 2021. very very near especially that our God is speeding up the days and turning them into months in quick succession,Please Nkandu Luo, continue annoying the Zambians, the president is on your side and the Zambians are on the other side. I concur with this post entirely. It was the same with the Chongwe and Kanakantapa districts: they were non-PF previously and consequently they didn’t get anything; with the last election both changed to PF (just), and now they still don’t get nothing because Lungu says it was because of the bad rule of the former MP’s! And you are right about the vote buying, all village headmen and headwomen have received donations, as long as they keep on spreading lies. What happened to the motion of no confidence in the Head of State at Parliament. As long as people of Zambia fail to realize that PF rule under ECL is a disaster, and that the longer PF continues in office, the more the country will drift in a state of helpless and making the the country irretrievable. 2021 is just too far. Action should start now.